On Friday April 5th Robin will be co-facilitating a workshop addressing bullying, narcissistic abuse and Complex PTSD. Details here. A Workshop for Ourselves, Our Clients and 0ur Patients. Facilitators: Dr. Robin Kelly – Medical Practitioner, Erica Steele – Business Mentor and Petrea King – Quest For Life via Skype. New Zealand has a very high recorded incidence of workplace bullying. Meanwhile, Complex Post Traumatic Stress Disorder (C-PTSD) is being increasingly recognised as the consequence of chronic and insidious bullying and narcissistic abuse. There is now also a strong body of evidence showing that abuse and abandonment in childhood can result in a lifetime of poor emotional and physical health. This interactive workshop helps us to identify times where we ourselves have been shamed and bullied – something many empathetic integrative practitioners will have experienced. We will identify the traits of individuals, and institutions which have played a part in this bullying; and the apparent apathy of ‘onlookers’ that compounds the associated shame. We also examine the behaviour of the bully, and the person with Narcissistic Personality Disorder (NPD), from a neuroscientific and sociological perspective. We will also discuss the somewhat confusing labels of Cluster B Personality, Anti-Social Personality Disorder (ASPD), Sociopath and Psychopath, and exactly where they fit into the full spectrum of human personality traits. We discuss practical ways we can help clients and patients who are bullied and abused, either at work or in their relationships with narcissistic partners and family members. As narcissists universally project shame onto their ‘victims’, the focus will be on nurturing self-compassion within ourselves, our clients and patients, while adopting an effective, practical, and common-sense approach to dealing with the actions of the perpetrators. Music from the upcoming UK documentary film 'Plugged In' exploring the health effects of social media on young people. To be released early 2019. And a recent fun interview with Success4 in Norwich, UK. Click here for universally warm reviews for "Orewa Heartbeat." "...:The immense heart underlying these songs makes Orewa Heartbeat one of the most intensely human musical experiences in recent memory. " Independent Music and Arts Inc. USA. My fifth album 'Orewa Heartbeat' is now released, and I am pleased how well it has been received. Two new interviews this week. Firstly with the US based Leak Project click here. This is a wide ranging discussion on the holographic universe theory and how it can relate to our everyday lives. We talk about how best to achieve optimum health, and how to handle those who display the dark side of the human character. From Friday July 8th, in another I am interviewed by Auckland's Tim Lynch on OurPlanet FM. Follow Robin's new YouTube series. New! 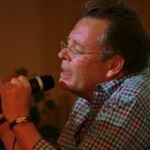 Follow Robin's weekly Bathroom Ballads on YouTube - spontaneous and unplugged! While you're there - consider subscribing to Robin's YouTube channel. Read Robin's new blog - "It's Really Not Complicated." From the EMEX summit May 23rd 2015 "What I have learned, and what I am learning." Robin writes: Over our New Zealand summer - another glorious one - I have continued to research and investigate the evidence that we are not only 'born into fear' but also carry the 'loneliness' of our ancestors. 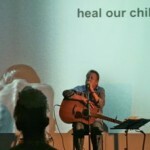 If this is compounded by adverse childhood experiences, in particular abandonment, then we can be left with an emptiness, a disconnection within, that lasts throughout our lives. We may try to fill this deep hole with the many temptations on offer in the modern world - drugs (recreational and prescribed), tobacco, alcohol, sugary foods, material goods, properties, and general 'busy-ness.' We become addicted to these only to find they leave us craving for more - as they never satisfy our souls, never fill the hole, So we become angry, anxious, depressed and sick. Beneath the anger and anxiety there is such sadness. As doctors, we are trained in the science of separateness. Our education system aims for us to become exclusive - to reach the top of our chosen field. The best businesses and corporations, we are led to believe, are those who make the most money. And yet, for all these aspirations there is an epidemic of depression in first world countries. To change this we must first acknowledge the roots of our suffering. Those who choose to visit me have little choice other than to do this if they are to heal. We are helped in part by the new science of connectivity - this provides valuable confirmation that we are all connected beyond colour, creed and gender orientation. That our human tissue is an interconnected web, further connected to a universal consciousness beyond the confines of time and space. These connections thrive in an atmosphere of love. So healing only occurs when we begin to open up to levels of compassion within us, for us, for others and for our planet and all its occupants. We can only heal within a community that cares, within a community that loves, and within a community that acts with hearts and heads truly connected. I know that all those who visit my site realise this. So a sincere thank you one and all for being a part of this community - and for helping to spread the news! Robin writes: My research and work now focuses on how our ingrained behaviour - acquired through the example of others and 'epigenetically' from previous generations - contributes to our emotional, physical and spiritual well-being. This issue is important within every one of us, and also globally in light of the recent tragic consequences of ingrained cultural and religious fundamentalism. True to the holographic principle, healing occurs when we reach deep within ourselves and make lasting changes that benefit our own health, the health of future generations and all those with whom we come into contact. Also, in a wider sense, each of us can affect the collective consciousness and contribute to world peace. My first presentation of the year for AIMA (NZ) addresses this vital issue. Date: Tuesday February 24th 2015. Venue: Fairway Lodge, Glenfield on Auckland's North Shore. Time: 6pm-9pm. Registration and more information on aima.net.nz. “Born Into Fear – How to Create Lasting Peace and Harmony for a World in Shock.” Dr Robin Kelly. Synopsis: "Adverse childhood experiences –whether in the form of separation, abandonment, negligence, abuse or violence – have been shown to have significant and at times devastating repercussions throughout adult life. Such experiences can also be passed on to the next generation and beyond –both through ingrained behavioural patterns and ‘epigenetically.’ There is now evidence that pre-pregnancy fears of mothers can be felt by the child. And further evidence that unresolved stress from trauma can be passed down to following generations. "We are traditionally tribal and communal beings -abandonment, isolation, and separation lie at the heart of all trauma. If we encounter this loneliness in adult life, the effects build on trauma held in our subconscious, leading to emotional and physical illness. "This is a growing area of scientific research but our health systems are slow to recognise the implications of early childhood and inherited traumas. A deeper understanding is essential, and should be addressed in depth before we inadvertently inflict further trauma through our treatment regimes. Many tools of modern medicine – surgery, radiation and powerful pharmaceuticals – are invasive and may compound the problem by adding to this ‘bank’ of stored hidden trauma. "Resolving these issues is now the focus of much of Robin’s work. He explains the research and his experience of exploring and helping resolve the toxic effects of past trauma with deep listening and energy techniques. He feels this work is essential, with profound implications for the individual, for future generations, and for the peaceful future of our planet." Introducing personal 'Well-being and Life Coaching'. Robin is in the midst of several presentations - new science, clarity and coherence, laughter and tears, and unplugged original songs! "Thank YOU so much for accepting my request to be speaker at our conference. We all LOVED your presentation and your songs!!! Your talk confirmed everything that we have been intuitively believing about healing/assisting our fellow travelers on earth." "Your warmth, humour and information was wonderful and uplifting and I know I speak for everyone in expressing my gratitude. Thanks for the wonderful and important work you are doing." "Thank you both so much, your Pearls From Our Practices talk last night (with Lynda Wharton) was inspiring, delightful and wonderful. We thoroughly enjoyed the evening. It just makes me wonder what you will be inspired to do next?" "Brilliant. Entertaining and empowering. A fun ride into the biomedical revolution. Beautifully written. Thoughtful and warm. Hopeful and charming. Professional and experienced." After a short break, Robin is presenting at several conferences and events from August onwards. Also, workshops and community presentations are being planned, so watch this space! 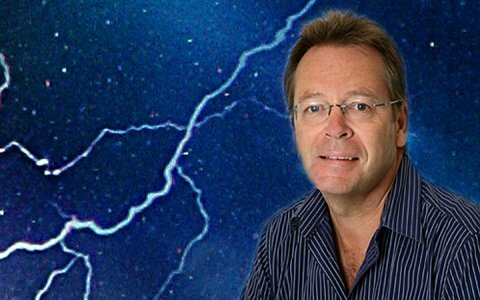 The Anthony Peake Consciousness Hour with Robin Kelly. Set aside an hour for this fascinating discussion between Anthony and Robin. Click here. For the first four videos in this series go here. See our new Music Videos page. Two new videos added on October 25th! Robin will be presenting and running workshops at Tao Garden Health Spa and Resort, Chiang Mai, Thailand from December 28th 2013 to January 3rd 2014. The new special edition of New Dawn Magazine is just out. See Robin's article on 'Quantum Epigenetics and the Human Hologram Model' on pages 11-16. To order or download a copy go to New Dawn. Robin Kelly is interviewed by Lindsey Dawson of New Zealand's Triangle TV on April 6th 2012. To view this interview on YouTube click here. And from Robin's one person music show Shamanarama - A Lot Like You. "When I am painting a new picture, I carefully choose the music that will complement the emotions in the story on my canvas. As the music plays, I relax, let go, and paint. When I am painting something mystical, I often play this CD. 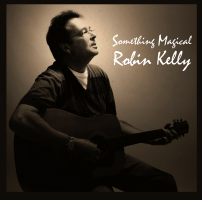 Robin Kelly has created a mood of solace, peace and content and he takes the listener on a soft ride through the journey of love to reach that happiness. I would highly recommend this CD to all artists, and I would equally recommend this music to anyone wishing to surrender to the artist within them." I have also recently returned from a tour of Canada (where I was the external examiner for the University of Alberta Medical Acupuncture Program) and the US where I was honoured to spend some time with Graham Hancock. 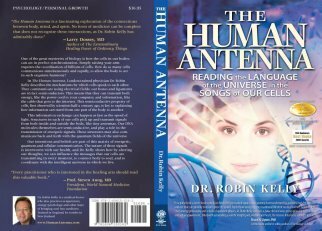 For a 9 minute video recorded by Robin in 2007 on The Human Antenna click here. In this video, ‘The Human Antenna’ author Dr. Robin Kelly talks to us about his own journey of discovery in medicine and the new paradigm of health and healing. Originally, this interview was recorded in 2007 as part of a larger documentary film that was never completed, but the content of the interview is too good to not be shared. The clip was directed by New Zealand filmmaker Bryce Langston. 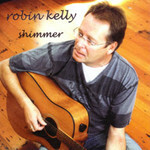 Robin's schedule: March 16th - one person show 'Shamanarama' 7.30pm @ The Holistic Cancer Congress, Auckland,NZ. 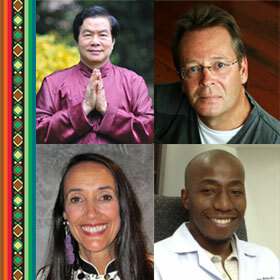 Robin has been appointed external examiner for the 2013 Medical Acupuncture Program at the University of Alberta, Canada. He will help examine candidates in May, and give two keynote lectures for staff and students. from the New Dawn website. This edition includes new reviews of both The Human Antenna and The Human Hologram. Click here. The next special edition features "The Human Biohologram - A Working Model." Updated + expanded for 2013 from the chapter in The Human Hologram. "Dis-CERN-ment - Putting U Back into the Universe"
To access via iTunes click here or enter "Robin Kelly hologram" on your iTunes store.
" Robin is a delightful speaker expressing complex ideas in an easy to understand joyful manner, always sprinkled with humor. I thoroughly enjoyed interviewing Robin and highly recommend The Human Hologram." Exciting new seminars and presentations March - April 2012. The Human Hologram named 'Science Book of the Year' at the 2011 USA Best Books Awards! "Waiting For Me Too" - click here to listen on MP3. And please consider a donation download. Find details of Robin Kelly's recent radio and TV interviews on The Human Hologram Facebook page. Click on icon.
" I felt that this book was beautifully written and I loved how the author showed that both eastern and western medicine can be connected. Utilizing a great deal of explanations, diagrams, case studies, compassion and a touch of humor, I totally enjoyed reading this book, and was excited to see that scientists are heading us in a direction where as individuals we will be encouraged to play a more active role in taking responsibility for our health and transforming our lives." My website is dedicated to making us live healthier, more fulfilled lives. To help in our quest, we will draw upon the ancient wisdom of many cultures around the world, and from the work of cutting-edge scientists who are boldly exploring realms beyond the purely physical. Realms where science, art and spirit become inseparable. 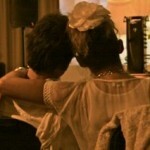 I have been very fortunate over the years to share many extraordinary healing experiences with those seeking my help. Their unique stories continue to serve as the most potent confirmation for me that we live in a connected, conscious universe. Similarly, your active participation in this venture is essential, as this will allow our awareness to expand together. Your ongoing feedback and support will be much appreciated. Gary Allen (The Charlie Daniels Band/ JJ Cale) has worked hard to ensure my music gets promotion on the tennesseeconcerts website. Please visit the special page he has created, which includes his generous review. Thank you Gary - a fellow Marxist ( Groucho that is, not Karl!). Some time ago I submitted two songs - 'Something That I Said' from Shimmer and 'Peace and Understanding' from Something Magical - to Gary Allen's Summer of 2010 Best Song in the World. I came runner-up - admittedly with several others ! - and as yet not quite sure which song nailed it. You can sample both of these songs on CDBaby and iTunes (key in Robin Kelly). For your free WMP download of 'Something That I Said' click here. You will also find a free download of 'Something That I Said' on our Shimmer page. Please consider a donation to our, or your, favorite charity if you do this. fact that the world we see, hear, smell and feel may well be a virtual reality - albeit a miraculous and often beautiful one. I wonder why this is so, and why we are evolving into a species that is not only self-aware, but also becoming aware that there is much more to us, our world, and our universe, than meets our eyes. And I explain what this means to my life as a doctor, husband, dad, and (amazingly) now a granddad. So meanwhile, I am keeping a low profile, but I promise once the book is published, I will present all these new findings with great enthusiasm to anyone who cares to listen. And I'll start singing again!" "The numerous, exciting scientific studies, which fill the pages of The Human Antenna, make the book a pageturner. Dr. Kelly emerges as a talented writer with a flair for storytelling and simplifying complex scientific concepts for the general educated reader..."
From August 2008 edition of The World Audience Review. Full review. The fully revised The Human Antenna released Nov 15 2007. For Press Room click here. 'Something Magical' was recorded at Manuka Studios, Orewa, Auckland from January to September 2009. It features songs composed over the past 25 years that closely follow Robin's writing. Songs of hope, love and magic - and just the occasional yodel. Engineered and mixed by Mike McCarthy. At present I am busy putting my experience and research into practice - more precisely into my medical practice..
Paradoxically, and sadly, those doctors who are doing such things are facing even more pressure from bureaucracy as they leave behind those whose thought processes are heavily controlled. This week I was told by our accident funding authority ACC that they will only fund - for one person with chronic pain - my signing of medical certificates to be used to their advantage, but not any medical consultations that involve deep inquiry or acupuncture. They told me they be more comfortable if I just prescribed pharmaceuticals, even for those patients for whom such an approach has proved to be dangerous. Acupuncture is the only modality that has consistently helped over the past 20 years. This is the first time this has happened. It is important that this doesn't become a trend -so I have asked for political help. It appears that here in New Zealand, I am now an 'unusual doctor' who is not only a primary care physician but one, very strangely, who treats patients with other modalities apart from pharmaceuticals. It seems that those who seek my help, or read my books, are far in advance of this thinking. Rather than react to this situation negatively, thank you for taking a trip into the 21st century by embracing the real science and common sense required to heal deeply. Hopefully, together, we can lead the way - for others to follow. 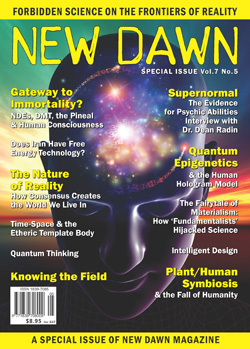 Meanwhile, I have updated a chapter from The Human Hologram for the current July/August 2013 edition of New Dawn Magazine. I have also recently returned from a tour of Canada (where I was the external examiner for the University of Alberta Medical Acupuncture Program) and the US where I was honoured to send some time with Graham Hancock. Breaking News! 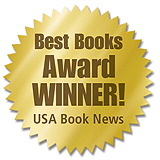 The Human Antenna wins major USA 2008 Book Award. After a short break, a new series of presentations, seminars and workshops is being planned for 2018. To buy from Amazon click here. (Original NZ version). Now out of print.